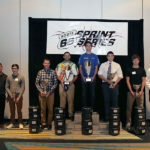 The MG Tires Route 66 Sprint Series, presented by Franklin Motorsports, held its Champions Banquet this past weekend at the Crowne Plaza Hotel in Springfield, IL. 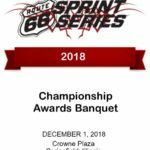 A packed house of over 280 were treated to a great meal and a first class awards presentation, capped off by drawings for a Merlin chassis, two Praga chassis, two custom Arai helmet with paint job packages, KartLift kart stand, gas grills, and many other prizes. The banquet was emceed by the Voice of the Route 66 Series, Tim Koyen. An open beer, wine, and soda bar was sponsored by the Collins Race Team and MTEC (Thome family). 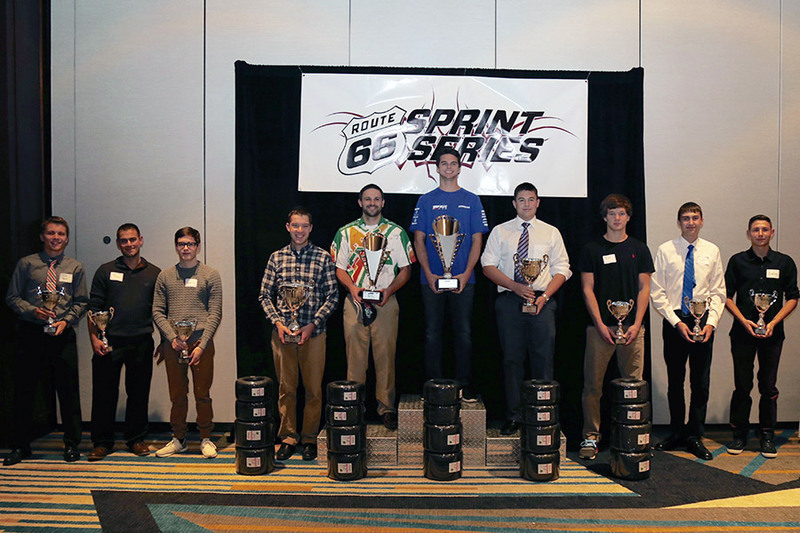 KartSport also helped sponsor the banquet. 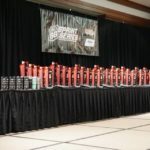 The first order of business was to announce the 2016 Engine Builder of the Year, and that award was narrowly won by Woltjer Racing Engines, with 37 wins, 45 seconds, and 39 third place finishes in Route 66 competition. Bill Lemke accepted the award on the behalf of Woltjer. 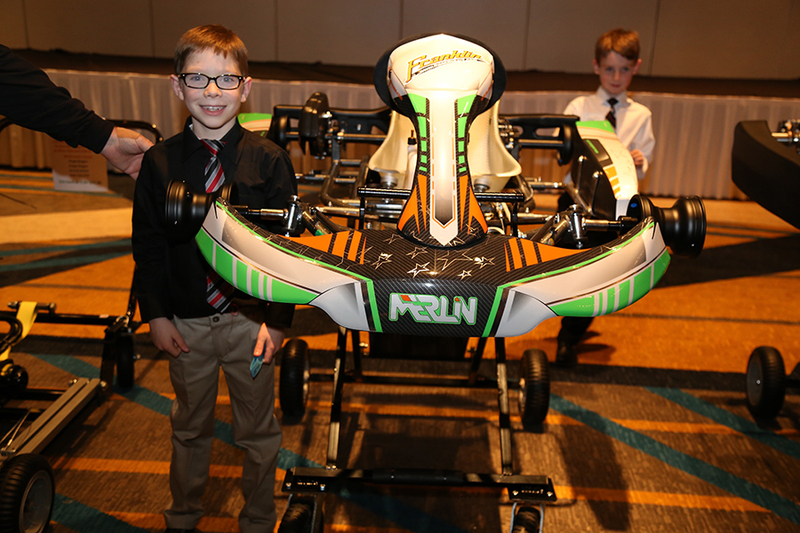 Jamie Sieracki (and his kids) accepted the 2016 Chassis of the Year award on behalf of Merlin Racing Karts. Merlin notched 20 wins, 30 seconds, and 21 third place finishes this year. Series Owner, Mark Coats delivered a special Grill Master award to Kelly and Deb Keaveny as a token of gratitude for the great meal they cooked and served to everyone at the Shawano event. The Route 66 Series staff was introduced and thanked, with Series Tech Director, Rick Jump, saying a few words about each staff member. Most of the Series’ 26+ sponsors had a representative on hand to receive appreciation plaques and gratitude from the racers. The awards presentation then swung into full gear, with most of the racers who ran the whole series, qualifying for a year end award and prizes. While the full results can be found on the series website, the class champions are listed below. In addition to tires, and other prizes, all the champions received a custom ring and jacket for their efforts. The tires and jackets were provided by Wagner Rossi at WR International. Following the awards presentations, the champions all gave great speeches, thanking the appropriate people for helping them reach this achievement. There were also numerous kart stands, gauges, tire tools, Beta wrenches, and many, many other prizes handed out. In total, about $90,000.00 in prizes and awards were distributed to the racers! 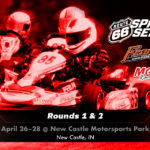 The Route 66 Sprint Series would once again like to thank its sponsors for their generosity and continued support of the Series.